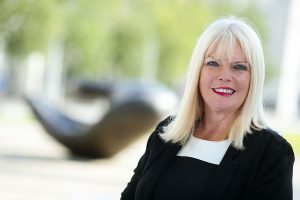 The Minister of State for Higher Education, Mary Mitchell O’Connor T.D. has secured the passage of the Technological Universities Bill through the Dáil last night. The Technological Universities Bill has now completed all stages in the Dáil and moves a step closer to enactment. Minister Mitchell O’Connor said, “Today marks a significant milestone in progressing this vital piece of legislation. The Technological Universities Bill is a high priority for Government so I’m delighted to have steered the Bill successfully through the Dáil. I look forward to discussing the Bill with Senators in the coming weeks. The legislation when enacted will underpin the development of a new type of higher education institution, building on the strengths and mission of institutes of technology to develop world class technological universities”. The Bill is now scheduled for the next stage of the legislative process in the Seanad early next week.